In the late 19th century, new and bold ideas from Europe, including biblical criticism and the theories of Charles Darwin, challenged traditional ways of thinking about religion. A small minority of people, concentrated in the intelligentsia, abandoned belief in God and became known as "free thinkers." Today their worldview is typically known as "secularism." Its historical antecedents stretch back to the rise of nation-states, the Protestant Reformation, the French Enlightenment and the Scientific Revolution. 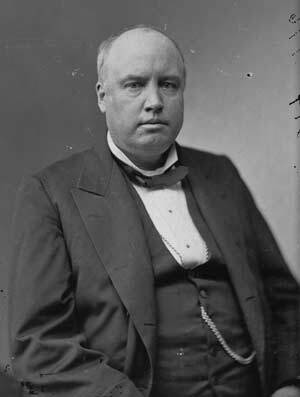 In the United States, the foremost proponent of secularism was a former politician and lawyer named Robert Ingersoll. Known to his admirers as the "Great Agnostic" and to his critics as "Robert Injuresoul," Ingersoll barnstormed the country, a circuit rider for the secular set. In New York, tickets to his lectures commanded the awesome sum of $1; scalpers reportedly could get as much as $2. He was a curious figure, with two remarkable features -- a protruding lower lip said to appeal to the ladies and an immense girth, prompting one newspaper to observe that the sheer quantity of oil and fat would, in another century, have made a spectacular auto-da-fé -- the public burning of those found to be heretics during the Inquisition. Each nation has created a god, and the god has always resembled his creators. He hated and loved what they hated and loved, and he was invariably found on the side of those in power. Each god was intensely patriotic, and detested all nations but his own. All these gods demanded praise, flattery, and worship. Most of them were pleased with sacrifice, and the smell of innocent blood has ever been considered a divine perfume. For Ingersoll, gods were the invention of the mind and imagination of man. They were not benign, but inherently destructive, dark and foreboding figures who demanded sacrifice, obedience and worship. Religions that arose in their name were relentless in their opposition to human progress. Only reason, intellectual freedom and the progress of science could overcome the destructive power of religion. Ingersoll enjoyed a close friendship with the poet Walt Whitman. At Whitman's funeral he delivered a eulogy, which is considered a classic. Ingersoll himself died at the age of 65 of congestive heart failure, but he paved the way for skeptics, humanists, freethinkers, agnostics, atheists and others who have dared to question the impact and influence of religion on society and culture.